Take advantage of our large readership and social media following and advertise with us here at Crock-Pot Ladies Learn more about us, download our media kit and advertising rates and let’s work together to create a campaign that works for you! Thank you for stopping by Crock-Pot Ladies! We are so excited that you’re interested in partnering with us and we would love to share a little bit more about Crock-Pot Ladies with you. We are part time bloggers who blog 1-2 times per week. Our posts consist almost exclusively of delicious, easy and family friendly recipes with the occasional review and/or giveaway. Read more about each of the three ladies on our About page where you will find out a little bit more about us, who we are and more! We enjoy developing recipes and sharing those recipes with our readers. We enjoy working and building relationships with brands and finding ways to make those partnerships a win, win, win for everyone involved. We will develop a recipe that uses your product and share that recipe and your product with our readers. All posts are also shared on all of our social media channels as well. If you wish to sponsor a giveaway in conjunction with a recipe development, that can be arranged as well. We would love to build a long term brand ambassadorship with your brand or company. Brand ambassador is a long-term relationship consisting of multiple blog posts and social media exposure which could include Twitter Parties, Pinterest Parties or other ways to bring attention to the brand. 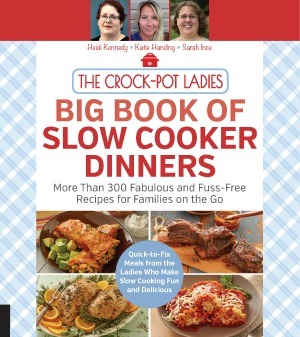 If you have a product that you feel fits well within the scope of Crock-Pot Ladies we would love for you to contact us. We are happy to provide a product review and giveaway (all product reviews must also include a giveaway) for products that fit our audience. We are especially interested in reviewing food products, kitchen items and other products that fit with our brand and audience. All products will be honestly reviewed and our own opinions will be used. The sponsor is responsible for providing product to be reviewed (full size products only) and the reviewed product will not be returned to the sponsor. It is the responsibility of the sponsor to ship the prize(s) to the winner(s) and Crock-Pot Ladies will not be responsible for prize fulfillment. Please keep in mind that all product reviews require compensation. Our newsletter goes out every day that we have a new recipe or blog post posted on the site. We have over 17,000 newsletter subscribers and can offer banner ads, text ads or full newsletter eBlasts to our subscribers. 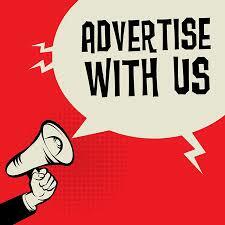 We are accepting banner ad placement on our website. We accept 300 x 300 pixel non-flash image or HTML ad banners which will be displayed on the sidebar on our site as well as a social media shout out to our sponsors on Facebook & Twitter. Please contact us for rates. We have a large social media presence on Facebook, Pinterest and Instagram and would love to work with you on getting the word out on social media about your company, brand or products. This is a great way to let people know about sales, discounts, coupons, limited time offers as well as new products at a more affordable advertising price. If you have something different in mind please do not hesitate to contact us. We are confident we can work something out! If you would like to download or access our current media kit as well as our advertising rates you may do so via the following link. These documents are in PDF format and are hosted on Dropbox. If for any reason you are unable to access these downloads please contact us and let us know and we would be happy to send them to you via email.